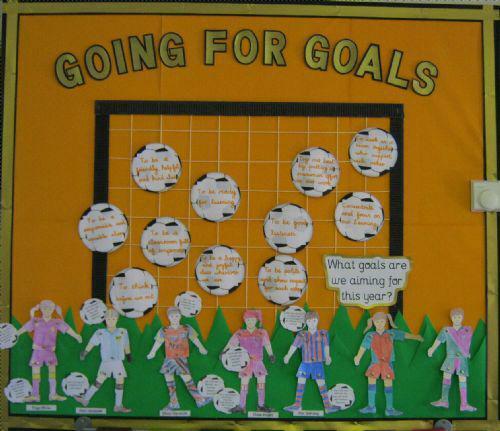 In Y5 we have been thinking about what goals we are aiming for as a class this year. We have decided on some class goals together, in addition to creating our very own footballer for our individual personal goals. We had great fun creating this display and it looks great!